The elegance of the paisley pattern comes to rugs! This rug is notable for its elegance stemming from a combination of paisley shapes in various sizes with a successful use of anthracite gray and ivory: an elegant and timeless design. 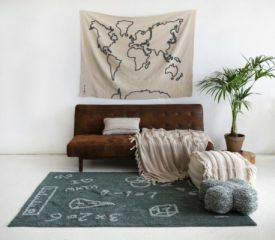 A rectangular-shaped rug made of exceptional quality wool on a 100% cotton base. 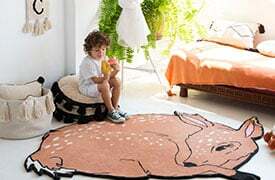 Hand-made by craftspeople using the ""Hand Tufting"" technique and the use of natural dyes, it is perfect for the living room, dining room, bedroom and even for children's rooms. 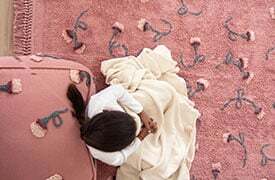 Woolen rugs are characterized by being more rigid and thicker than cotton rugs, and are gaining popularity within the international trends of decoration.